Travel broadens the mind, and many college students are eager to take their studies to foreign lands. Programs for students wishing to study abroad are available for many countries around the globe, and all offer students the invaluable opportunity to immerse themselves in other cultures. Most study abroad programs are aimed at graduate and post-graduate students pursuing research that relates to their travel destination. Study abroad scholarships and fellowships are not unusual, but they are extremely competitive. The qualifications needed to win a study abroad scholarship are quite extensive, and only the very best and most resourceful students will be considered. Students wishing to study in Nigeria will face a number of challenges, not the least of which is the area’s current sociopolitical climate. As of January 2013, the U.S. State Department has renewed it’s travel warnings for Nigeria and surrounding areas. This is due, in large part, to the region’s political instability and the large bands of renegade criminals who are making many parts of the country unsafe. This does not mean that the country does not welcome travelers, nor does it meant that there are no programs available for American students who wish to study in the region. But it does make travel more difficult, and students should understand that they may be putting themselves at risk if they choose to study in Nigeria and surrounding regions. There are two main universities in Nigeria that are open to American students wishing to study in the country. These are the best universities in the region, and are home to the brightest students in the country. The American University of Nigeria is the premier university in the region. It offers students a full range of academic programs, from liberal arts to business and technology. The university welcomes a wide range of international students, and has partnered with a number of American universities and organizations to offer exchange programs for select students. Students interested in attending the American University of Nigeria can apply directly to the school for scholarships. Programs are available for students pursuing their Bachelor’s, Master’s and PhD. The University of Lagos has an exceptional international studies program, welcoming students from all over the world. International students are given first choice in accommodations, with special attention being given to their safety while in the country. The University of Lagos offers scholarships and fellowships for non-national post-graduate and graduate students who meet the school’s strict acceptance requirements. Study abroad scholarships are limited for students wishing to travel to Nigeria. Due to travel restrictions, many former programs have be suspended until the situation in the country has been normalized. That being said, not all programs have been closed, and students intent on studying in Nigeria can still find a few scholarship programs available to help them fund their travel and pay for their tuition costs. The West African Research Association promotes the scholarly exchange and collaboration between the United States and West African research institutions. WARA provides opportunities for post-graduate students to pursue their doctoral research in West Africa at a participating university or research facility. The WARA Predoctoral Research Fellowship covers travel expenses to the region, and provides a stipend of $3500 to cover fees and research supplies. Applicants must submit a research proposal, three letters of recommendation, and an itemized budget covering living expenses, equipment costs, and institutional fees. Fulbright Scholarships are made available to exceptional students who wish to continue their studies abroad. A number of grants are available to students wishing to study in Nigeria. These programs provide financial assistance to students in a range of fields, including general academic and liberal arts research, journalism, science and public health. Awards are also available for students interested in teaching English as a second language. Fulbright applicants face fierce competition from hundreds of other equally talented graduate students, and only those with impeccable academics and a finely tuned study proposal will win an award. Nigeria is a beautiful country with a vibrant culture, and students continuing their studies in the region will be rewarded with more than an education. However, students interested in studying in Nigeria should understand that current travel warnings are not made lightly. 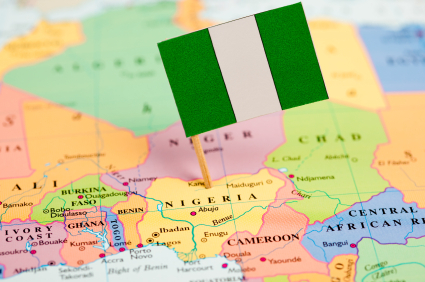 While scholarships and fellowships are available for students who want to visit the region, the decision to study in Nigeria should be carefully considered. Students should weigh the pros and cons, and make their decisions accordingly.